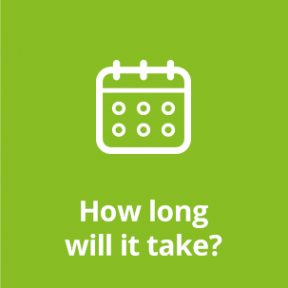 We understand that you’re busy and can’t always make it to our flooring showroom in Bristol, so we’ve set this up to cover FAQs and provide some inspiration for your next project. Move your mouse over the flip cards below for answers to some frequently asked questions. 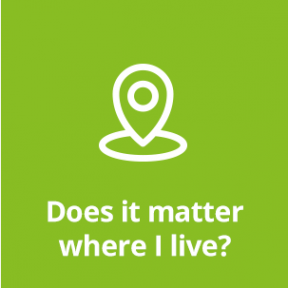 If there is anything else you need help with, you can contact us on 01454 322828 and we will be more than happy to help. 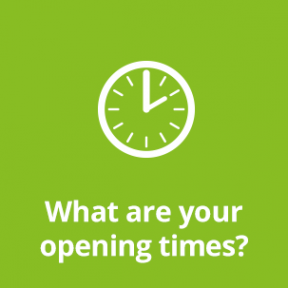 We are open bank holidays! Ask us! 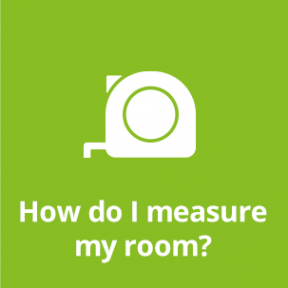 We’re happy to come to measure your room for you, free of charge. 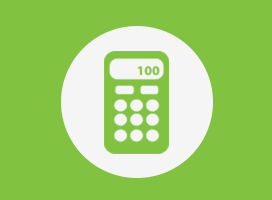 You can also use our Carpet Calculator to help you to measure your room and estimate the amount of floor covering to order. Carpet Giant serves Gloucestershire and Wiltshire, an area including (but not limited to) Gloucestershire, Bristol, Bath, Swindon, Wiltshire, Stroud, Dursley, Yate and Thornbury. Will you fit the flooring? 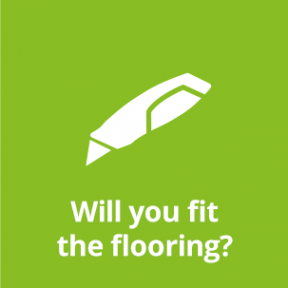 Yes, our in-house team will fit the flooring we supply. All work is fully guaranteed. We carry huge stocks of carpets and vinyls. Stock carpets and vinyls can be cut and our friendly team will load it into your car straight away. If we are fitting the flooring for you, this can usually be done within three days, in some cases even the next day. 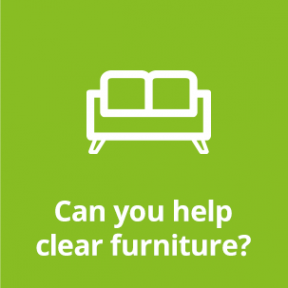 Can you help clear furniture? 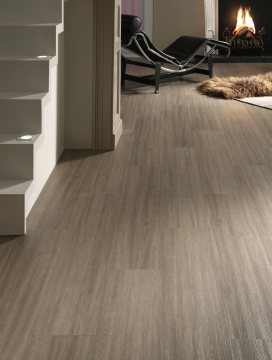 Waterproof, durable, and scratch resistant, luxury vinyl tiles (LVT) are a stylish yet flexible choice for any room in the house. 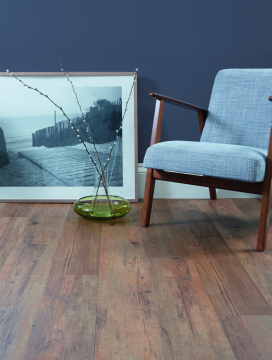 With bright colours, stone, slate, wood, and marble effects available, LVT flooring is a great way to add a touch of something different to your home that won't break the bank. 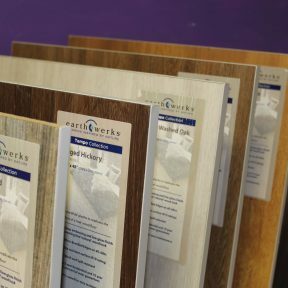 Ask in store about our ranges of Earthwerks and Distinctive Flooring LVTs. The best thing about stain free carpets? The stain free for life guarantee. These carpets are safely and easily bleach cleanable and highly resilient to everyday messes and pressures. 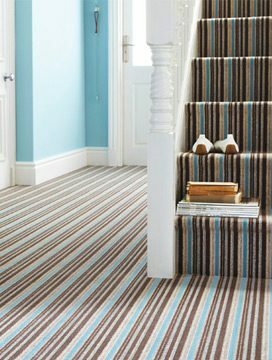 Ideal for families with young children and pets, stain free carpets are really good value for money and stand the test of time. 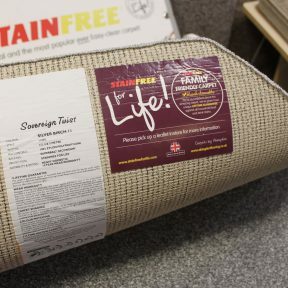 Ask in store about our range of Abingdon StainFree for Life carpets. 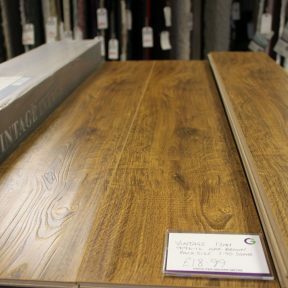 Laminate flooring provides the hardwearing qualities of hardwood flooring at a fraction of the cost. What's more, our laminate comes with a minimum 20 year warranty. We have a huge selection in store as we buy in bulk from our suppliers, allowing us to pass on the savings to you. 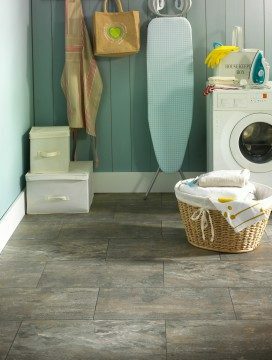 Laminate is a great option for anywhere in the home apart from bathrooms. 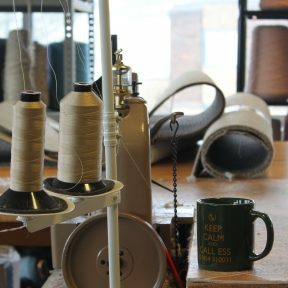 We provide a bespoke rug binding service upstairs in our offices above the showroom. 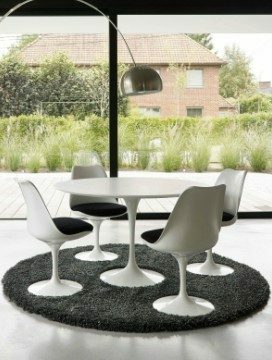 This allows us to create a unique rug, designed to your specifications, from a section of carpet or carpet remnant from our store. If you have a rug that needs to fit around a corner or in an awkward shape, this is the way to go. Ask in store for more details. 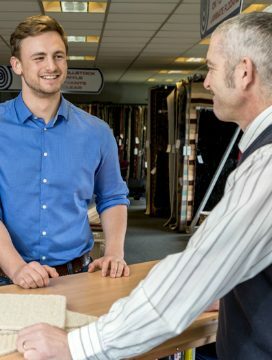 "The staff at Carpet Giant were extremely patient, as I kept changing my mind taking home different samples but helping me to make the right decision! " "We had our lounge carpet fitted. The shop was lovely, no pushy sales tactics as we found in the big chains. Carpet is lovely quality and the service was quick, professional and friendly throughout." 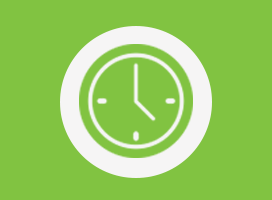 "Top service from Dan and James during measure, picking and final stages. Brilliant, friendly and trustworthy fitters. I couldn't recommend Carpet Giant any higher!" If it’s easier for you, we can bring samples to your home or office! Check the colours against your décor to make sure you’re picking the right flooring for your room. We’ll take accurate measurements of the space and recommend flooring to suit your budget. We also offer a fully guaranteed fitting service.